« Talking Works Tom Didovich! Sent: Thursday, 26 April 2012 2:59 p.m.
Subject: Lawyers using their office for fraud. I wish to make you aware that Mr Neutze is currently before the law complaints review office on my complaint . I spoke to you at court this week and Noted that you had the affidavit which details how the fraud was perpetrated. As the officer dealing with the case you have an obligation to read the affidavit . The affidavit should sufficiently warn you that you are dealing with gross corruption and fraud. We are again scheduled to appear in court next week for the liquidation in which you have appeared for Mr Neutze. It appears that Brookfield’s are allowing their offices to be used for fraud and you are facilitating it . That is their choice as to your involvement you have a choice too. Mr Wells in the bankruptcy and insolvency matters is taking action to pervert the course of justice and for money laundering. I have filed a statement of claim seeking to rescind the decision on fraud. If you turn up in court next week and continue to act on behalf of Mr Wells and not as an officer of the court with duties and responsibilities to your statutes and regulations, I will make a complaint to the law society . I have warned you twice now , what you are doing is career limiting, you have to make your own ethical decisions. If anyone else from Brookfileds turns up I will know that they have been instructed by Mr Neutze and will take action against him/her as well . Mr Neutze is being vexatious after all I have made complaints against his conduct and he has good reason to want to see me liquidated and bankrupted. I have suffered 6 years of hell because David Neutze did not get the evidence before he filed a statement of claim. Lawyers acting under his direction produced no evidence of any form and misled the court as to discovery. Mr wells in an attempt to exonerate himself and others including Mr Neutze produced documents to the law society which proved that the claims were meritless and an abuse of process. I am making submission next week so that I can represent my company one of the reasons lawyers are preferred is because they have accountability .. I will ensure that you have that accountability , had lawyers been accountable to the rules from day one I would not be in the position I am in today. 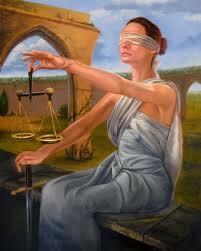 chapter 2 Rule of law and administration of justice 2.1 The overriding duty of a lawyer is as an officer of the court. 2.2 A lawyer must not attempt to obstruct, prevent, pervert, or defeat the course of justice. 2.3 A lawyer must use legal processes only for proper purposes. A lawyer must not use, or knowingly assist in using, the law or legal processes for the purpose of causing unnecessary embarrassment, distress, or inconvenience to another person’s reputation, interests, or occupation. Assisting in fraud or crime 2.4 A lawyer must not advise a client to engage in conduct that the lawyer knows to be fraudulent or criminal, nor assist any person in an activity that the lawyer knows is fraudulent or criminal. A lawyer must not knowingly assist in the concealment of fraud or crime. Prevention of crime or fraud 11.4 A lawyer must take all reasonable steps to prevent any person perpetrating a crime or fraud through the lawyer’s practice.